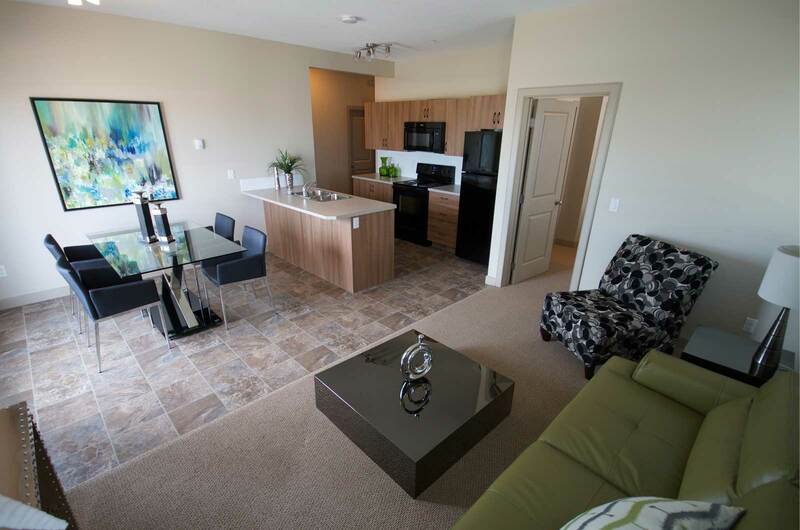 Experience affordable luxury living in our Timberstone Village apartments. 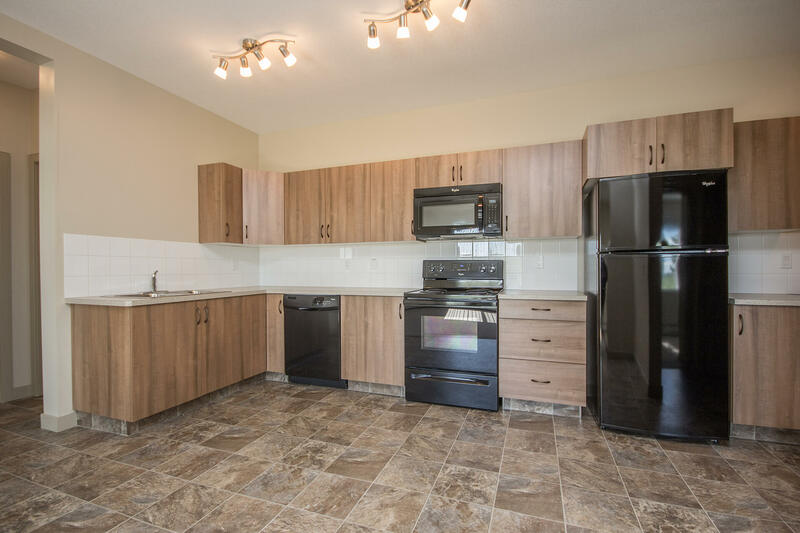 Located in Red Deer, our beautiful condo-style Laebon built apartments are perfect for anyone who wants to experience everything the city has to offer. You deserve to live somewhere you’re proud to show off to friends and family. Host a potluck in your new apartment, serve food and drinks at your kitchen bar, and socialize with friends on your private balcony. Unwind at the end of the night with a relaxing bath and then retreat to your queen-size bed for some well-earned rest and relaxation. Never feel embarrassed to show off your apartment again as you will be the envy of every social event with a Laebon apartment. 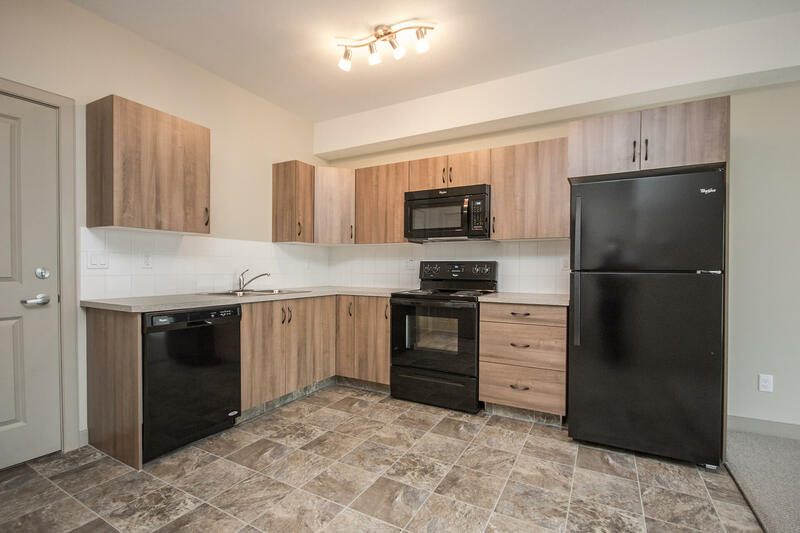 When living in a Timberstone apartment you get an open-plan kitchen and living area, bathroom with a tub/shower, and an in-suite washer and dryer. Living in Timberstone Village means you have access to everything that Red Deer has to offer, including the Collicutt Recreation Centre, an abundance of theatres, and the public library which is just across the street. Red Deer has something for everyone, so experience the magic of this great city while living at Timberstone Village.